This year, Apple reported there are over 550,000 active podcasts! Additionally, they boast that 50% of homes are podcasts listeners, which is over 60 million homes. Sixteen million people now describe themselves as avid podcast fans, and as podcasts can tailor their content to either a broad or very specific and niche audience, the possibilities of advertising are endless. In fact, many podcasts create surveys for their listeners to gather more information about their wants and needs, which can then be used to select the perfect branding partner to advertise through their podcast. Podcast Insights reports that podcast listeners are extremely loyal, as 80% of the base listens to every episode on a weekly basis - creating a perfect environment for repeated exposure to advertising opportunities. Additionally, listeners tend to be educated and affluent, factors of a highly desirable market. While podcasts initially captured a primarily white audience, the medium has also seen a growing measure of diversity within listeners as well- increasing six percent from a 30% non-white audience to 36% in the last six years, according to Nielsen. That may sound like a minor consideration, but bear in mind that 36% of 60 million homes is still a wide net for advertising opportunities for niche markets as well as major markets. 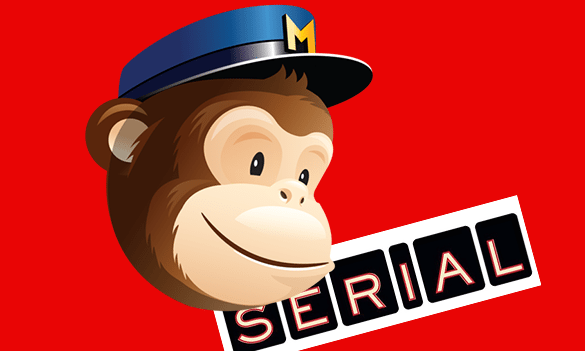 When the NPR-produced podcast, Serial debuted in 2014, the show became known for two things: the controversial debate of whether Adnan Syed killed his high school girlfriend and (though not commonly thought of as the blatant advertising it is) Mailchimp. The online email software was the primary sponsor of the show and every episode started and ended with a tongue-in-cheek commercial of people struggling to pronounce the name of the company, in addition to ad-reads the host would incorporate in commercial breaks. In fact, when Stephen Colbert interviewed the host, Sarah Koenig, he ended asking her “okay but really, how DO you pronounce Mailchimp?” The running gag made the brand synonymous with the show in a way that listeners responded to naturally and positively. The most often thought of advertising for podcasts is a traditional ad. And they are fine. And quite frankly great to add on to a content partnership with a podcast as your brand is going to be able to absolutely control the messaging just as you ideally want it. But is is the least exciting way to engage with a listener. Pre, Mid and Post ad units sound just like traditional radio ads - and either lead into the programming, are used like almost a commercial break halfway through or in another part of the programming, or at the end. They can be great however to tag in a special offer, to heighten the branding message, or to provide additional information that might be not as organic to the conversation of the podcast. We've all heard typical radio commercials are pre-recorded and carefully controlled by the agency creating them with specific choices in mind like the background music, voice actor and delivery. With podcast ad-reads, we see a trend in the advertising to be much more free form, simply sending the script to the host(s) of the podcast and asking the ad to be read casually as though it were part of the show and are often even encouraged to riff jokes on the ad to make it more tailored to the tone of the show as well. That's why these inserted ads are literally called "live reads" - the host is reading them live during the recording of the podcast. Like the organic placement of a product woven into a film or TV show, these new podcast ads fit seamlessly into the show and increase the likelihood that listeners won’t skip past it. Another strategy that takes the live read one step further, is having the hosts expand upon the conversation around the brand - so you no longer are just getting :30 or :60 seconds of pre-scripted messaging, but instead are actually becoming part of the show. We've noticed an emerging trend more and more so of taking the live reads this one step further with brand integration by hosts being given some freedom around what to say, as long as they cover the specific marketing messages and talking points that the brand has requested. This creates an incredibly organic brand partnership within the show, with more freedom to have the show host guide the conversation and make sure the messaging fits their own brand as well in the plug. Weaving the brand into the content organically resonates to younger audiences who are turned off by outright and blatant forms of advertising. On Anna Farris’ podcast, Unqualified, the actress interviews actors and comedians about life while simultaneously promoting whatever show or film the talent is promoting. While the conversations are mostly about dating scenarios and relating personal stories, the show always integrates the program or film as part of the interview. One of the newest forms of advertising on the cutting edge of podcast marketing integration is stand-alone sponsored podcasts. In this form of marketing, the podcast will have a segment of one to three episodes - or even more, that stand alone as subsets of the rest of the show. Within these isolated episodes, the content is about something that applies to the brand in general, and also provides a shout-out to the brand for sponsoring the segment and typically includes a conversation about the brand as well. 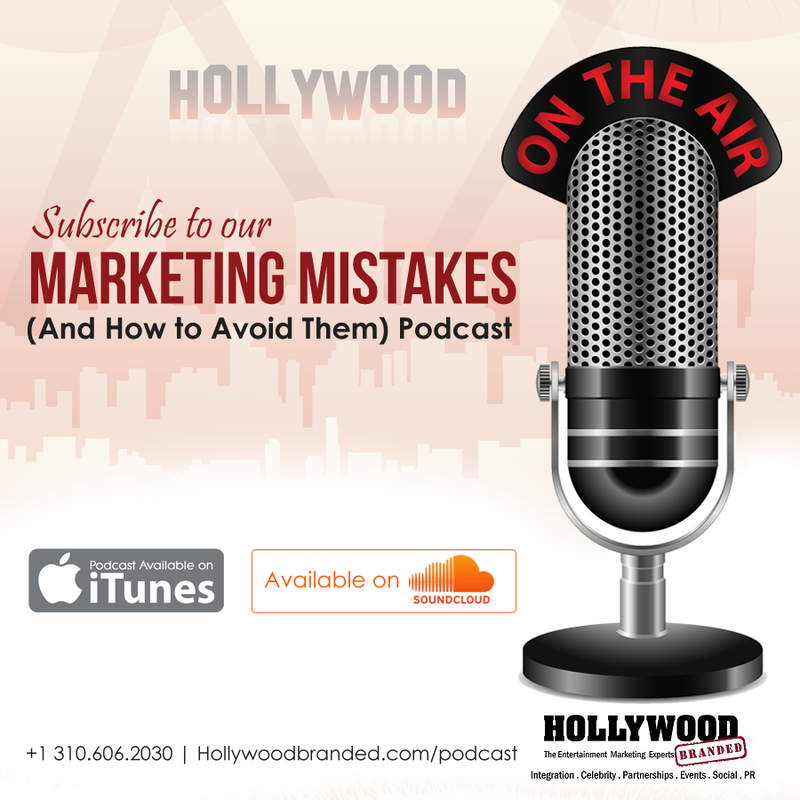 The brand wins as they get their marketing messaging baked into the show, and also because now they are shown as a thought leader providing education and value to listeners. As the market of podcasts continues to grow, the new forms of advertising within them will continue to emerge. 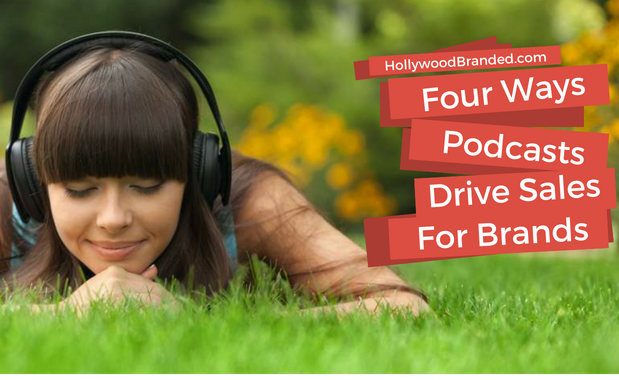 We know a thing or two about podcasts, as we produce one every week on topics centered around helping brand managers best leverage content partnerships to impact their sales. If you haven't yet, check it out and take a listen.